One thing that I always look forward to, something I truly adore about the sometimes-hectic holiday season, is the chance to get all dressed up for festive gatherings. I find that the holiday season is the one time of year that people put a lot of effort into their appearance, and I thoroughly enjoy seeing my friends and family all festive and fancy. 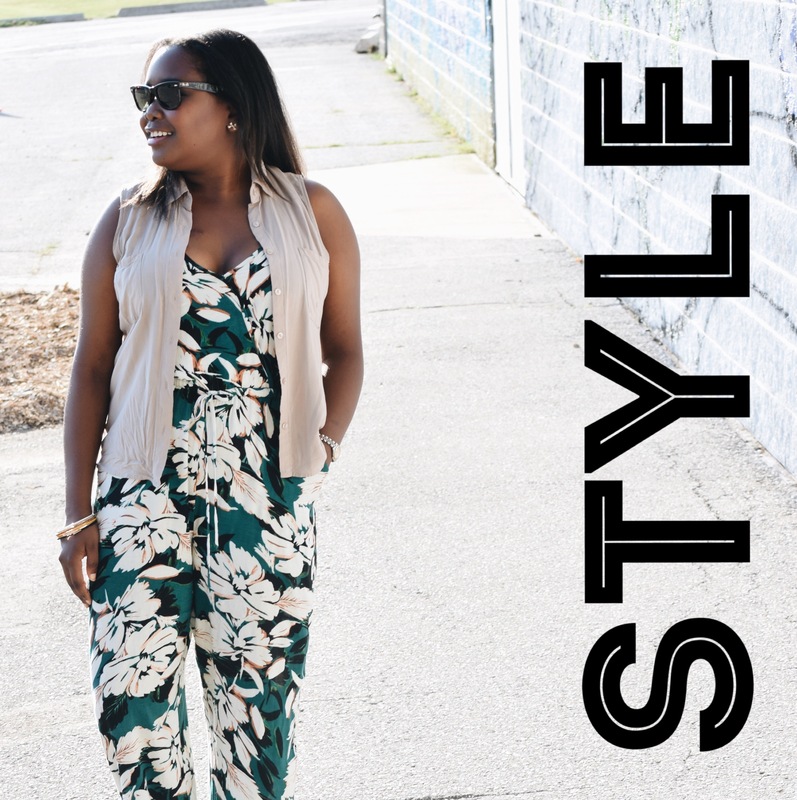 Today, I’m kicking off the official start of the season by sharing some products that I believe are always a good idea to have in your arsenal for the most wonderful time of the year. 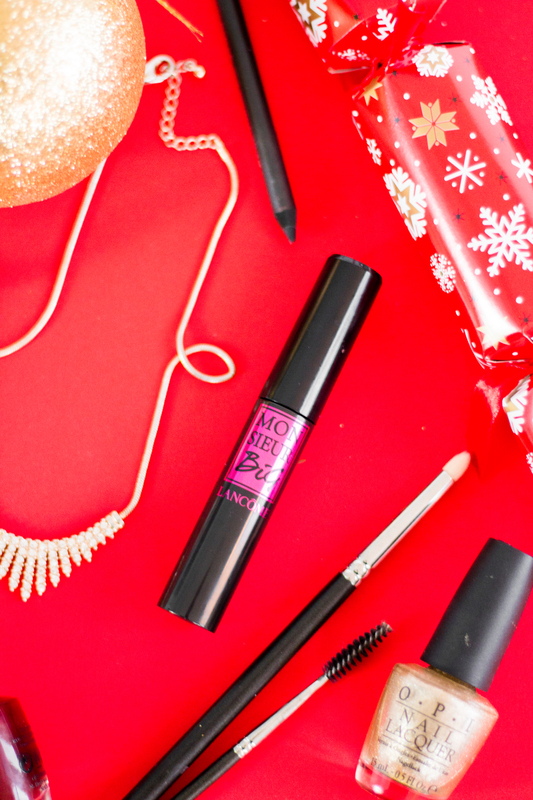 December usually brings busier days and longer to-do lists, and no one wants to be the gal who needs to touch up her foundation or powder her nose during some festive fun! 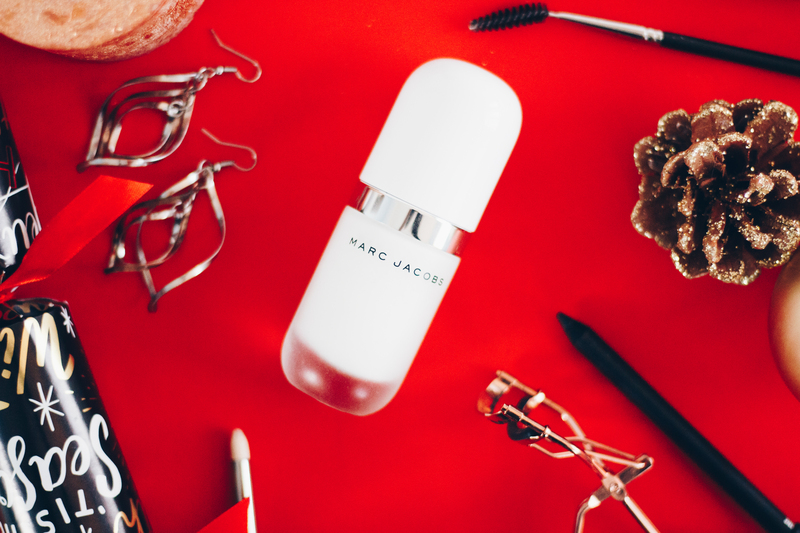 Do yourself a favour and find a primer that is within your budget and works for your skin; not only will it help all of your makeup stay put, but it will keep you looking fresh, put-together and beautiful all night long. Why I Love It: This lightly coconut-scented primer works wonders on my dry skin, making it feel instantly nourished and hydrated while keeping my long-wearing concealer in place for hours on end. 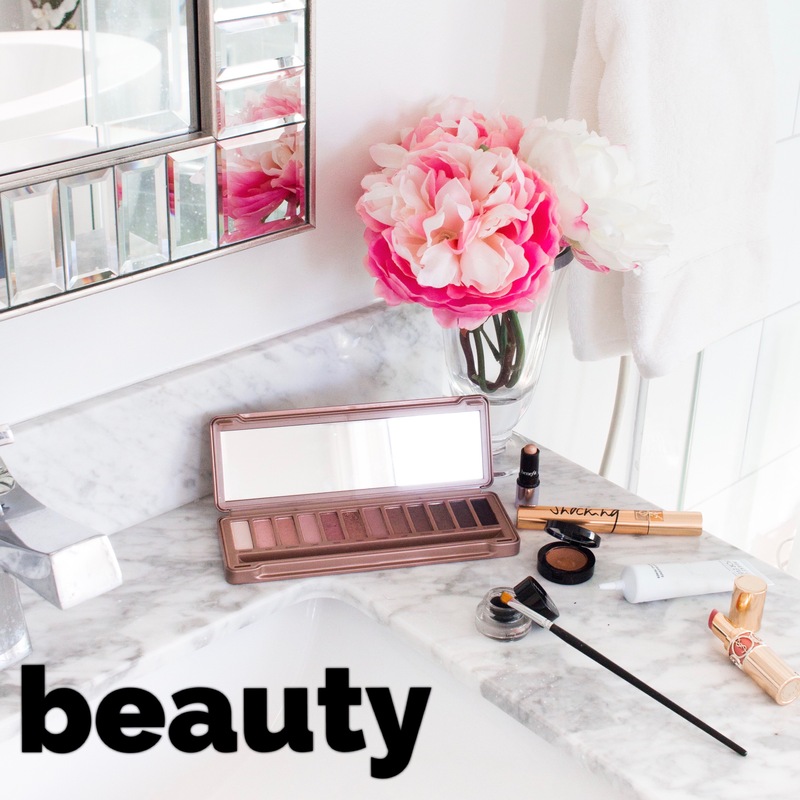 Yes, it is definitely an expensive luxury beauty item, but let me tell you, with the number of compliments you’ll get, it’s WORTH IT! Mascara is one of two makeup items that I don’t think I could live without (the other is concealer). 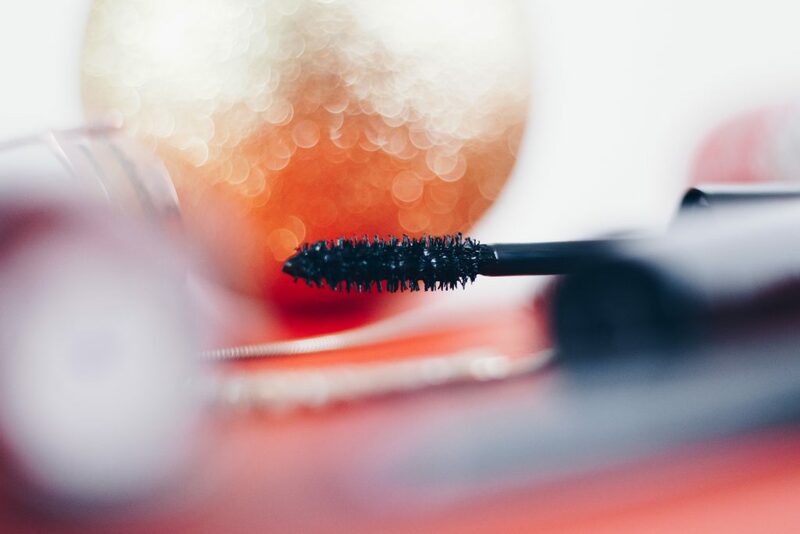 I just love the look of long, full lashes, and sure, every other time of year, I’m willing to take the time to layer a mascara for volume on top of a lengthening one. Seriously, though, who has that kind of time during the holiday season?! 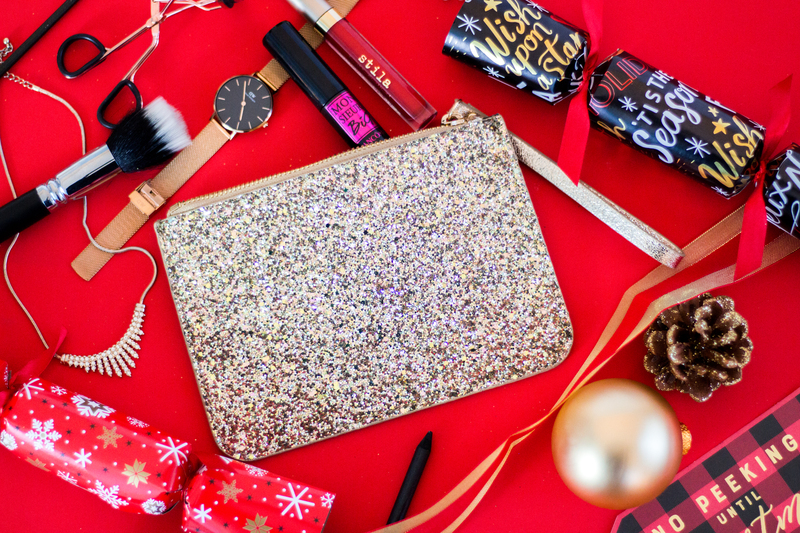 Of course, I want to look glam, but I want to achieve that look in half of the time it normally takes…I’m a busy (and impatient) girl, okay, Santa!? All-in-one mascaras are designed to provide length, volume and separation all in just a few strokes to ease the creation of your ultra-fab look. Why I Love It: Hands-down, this is my favourite mascara of the year. The first time I put it on, I couldn’t believe how freakin’ gorgeous my lashes were! Monsieur Big is advertised as a mascara for intense volume, but it also lengthens my lashes like mad in the process. 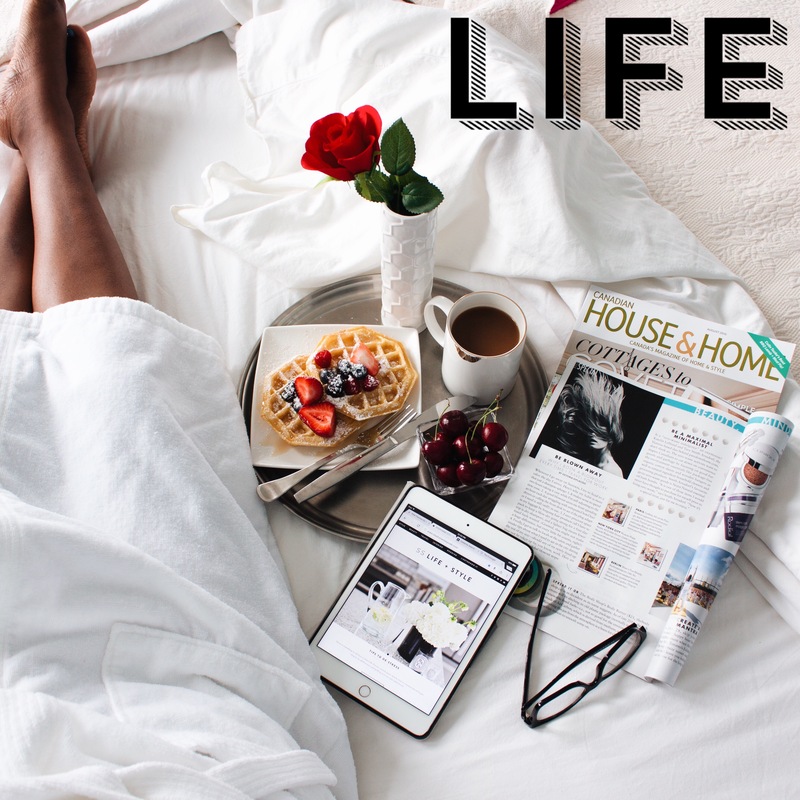 It is also incredibly long-wearing, so make sure to take it off at the end of your day or you’ll wake up with slightly clumpy lashes and mascara smears all over your pillow the next morning! Let’s be real, if it was practical to get airbrushed makeup applications for regular occasions like going to work or cocktail hour with the girls, we all would, because, who doesn’t want to look as if they have been touched (up) by an angel!? A trusty tool like a makeup sponge or brush can make or break your look, so when you find a tool that works for you, GO FOR IT, GIRL! I am constantly switching up my preference between the BeautyBlender and some of my favourite brushes, but right now, I’m loving the way that smooth, well-blended makeup looks on both my skin and others’, and a good brush never fails to deliver that goddess glow. Why I Love It: When I received this brush in the mail after (embarrassingly) making VIB Rouge status at Sephora, I wasn’t expecting much (no idea why). The first time I tried it out I was FLOORED, as it was both easy and quick to use and I thought it blended out my sometimes thick concealer effortlessly. I ended up receiving several compliments about my makeup that day, with my colleagues telling me how “good” my skin was or how “different” I looked, despite anyone being able to specifically identify what it was about my look that seemed to have changed. Needless to say, this little guy and I have been inseparable ever since! 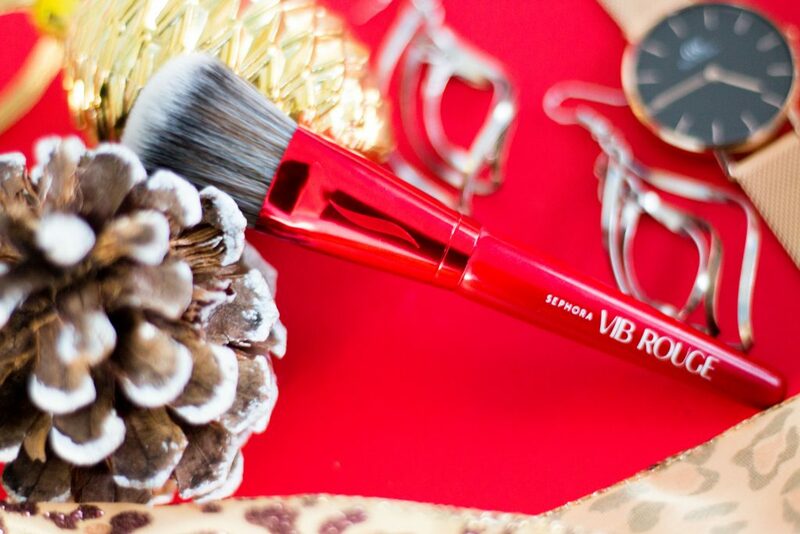 It’s simply not the holiday season if you haven’t put on a little bit of red lippie. I’m all about long-wearing liquid lip products these days; they’re easy to apply and relatively fuss-free, they are usually a bit cheaper than buying creamy lipsticks (another case of no idea why…), and you can eat meal after meal without having to touch up your lips once. Need I say more!? Why I Love Them: I am a huge advocate for wearing any kind of red lipstick, it’s my power colour and I am unapologetic about it! These two lipsticks have been in my collection for AGES and I just cannot get enough of them. Stila’s Beso is more of a classic red that pairs really well with neutral outfits or when I’m looking to make a statement; ColourPop’s Rooch is for when I’m feeling a bit bold or when I’m moody. Oh, and when I combine them, I have the perfect shade of deep red that suits my complexion to a tee and is oh so festive! Win, win…win again! A huge part of the magic of the season comes from the twinkling lights everywhere and the glitter that seems to dance in the air (that rhymed). I try to incorporate as much shimmer and sparkle as I can into my life this time of the year, including my makeup, wardrobe and accessories. 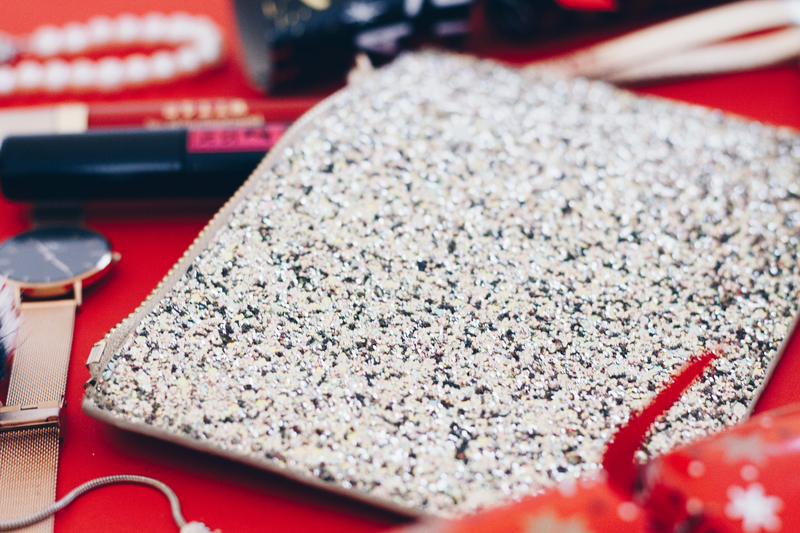 Why I Love It: What glitters is gold and I am not ashamed to adorn my outfit with some glitter in any way I can when I attend holiday gatherings. This cute clutch can be used to store essentials like my keys, some cash and my lipstick(s) of the evening, or it can double as a super glamorous makeup bag for when I don’t want to take too much on the road with me. Plus, you can literally see it sparkling from across a room, it’s STUNNING!